With the summer grilling season just starting to get going, it is time to uncover that grill and get cooking. 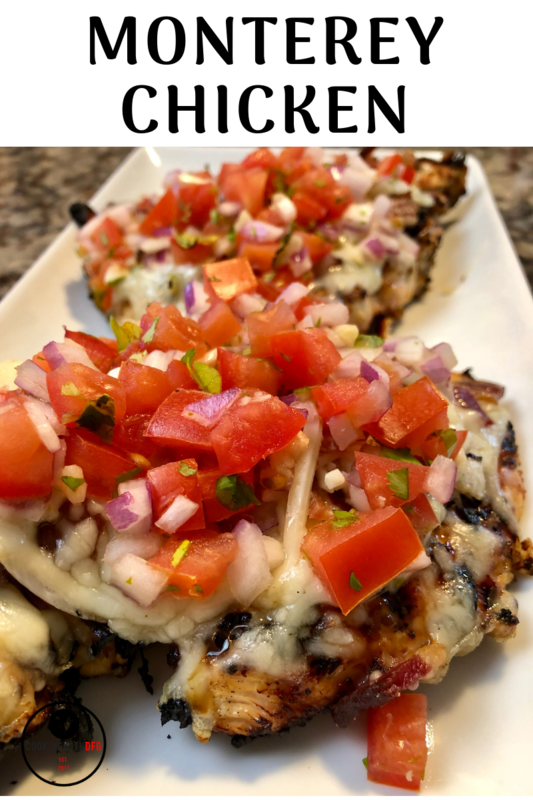 This monterey chicken is a fantastic grilling recipe. The marinated glazes the chicken and leaves a great light char on both sides. 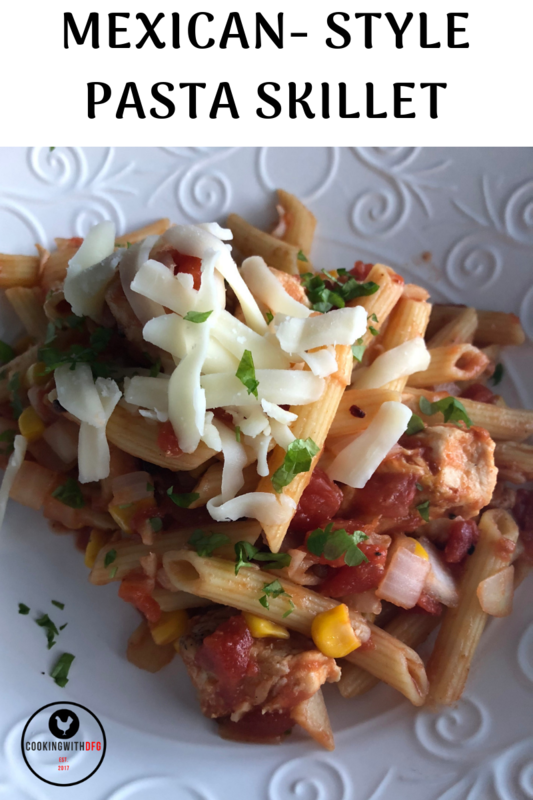 Then gets topped with swiss cheese, grilled onions, bacon and the fresh pico de gallo puts a fantastic final touch to the chicken. The recipe will also work great in a 400 degree oven too if you done have access to a grill or the weather isn't playing fair with you. Doughnuts and muffins to me is the breakfast choice you have when you are looking for something extremely easy and fast to eat on a busy morning. Both are great in there own way, but doughnuts check so many more boxes since they are sugared filled and greasy from being fried. 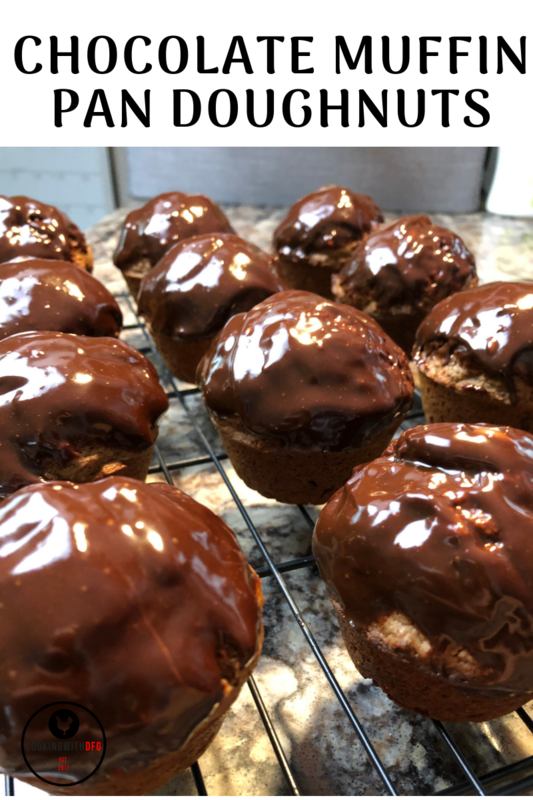 These chocolate muffin tin doughnuts have great characteristics of both, but the texture and richness you get in doughnut, but the ease of muffins when making them at home. With the baking process you don't have to worry about having oil at the right temperature and flipping them over mid way. Just scoop the batter in the muffin tins and let them cook hassle free for 20 minutes. Tacos are one of the dinners most families keep as a staple for an easy family dinner. 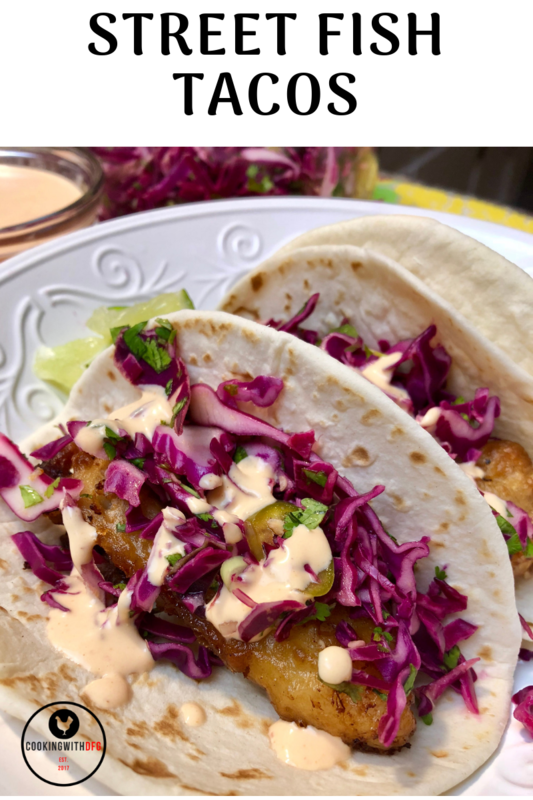 These fried fish tacos have a crispy golden brown crust while the fish inside is moist and full flavored. The best fish to use is a halibut or cod or other firm white fish. Then topped with the sriracha lime creme and picked cabbage add a great splash of color a mixture of heat and tangy-ness that complement the fish well. The use of soda does the same thing beer would do in a batter, but adds a bit of sweetness and helps with the golden color. The recipe can be easily expanded to feed more and the sauce can be made ahead of time to cut down on same day preparation. Check out the recipe below. The classic spring dessert is the classic carrot cake. Most recipes for carrot cakes come out dry or so moist they just fall apart so why not just make it easy and make them into small cookies that have the flavor. 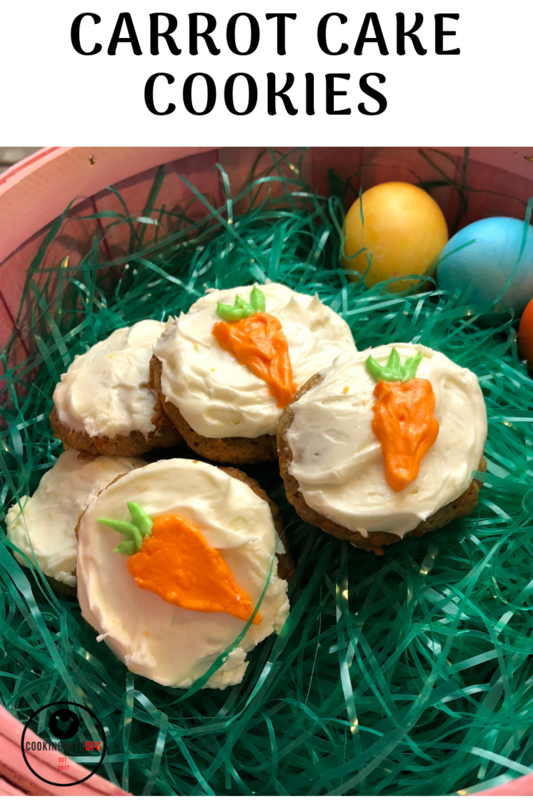 These carrot cake cookies have the same flavor, are moist and topped with a generous portion of light and fluffy cream cheese frosting. These are great to make with kids with the ease of the preparation and the fun of decoration them in spring theme or just the classic carrot shape that is the norm of carrot cake. Check out the recipe below. Some of the best meals are the meals that are made with a few simple ingredients and is simple to make in a short time. 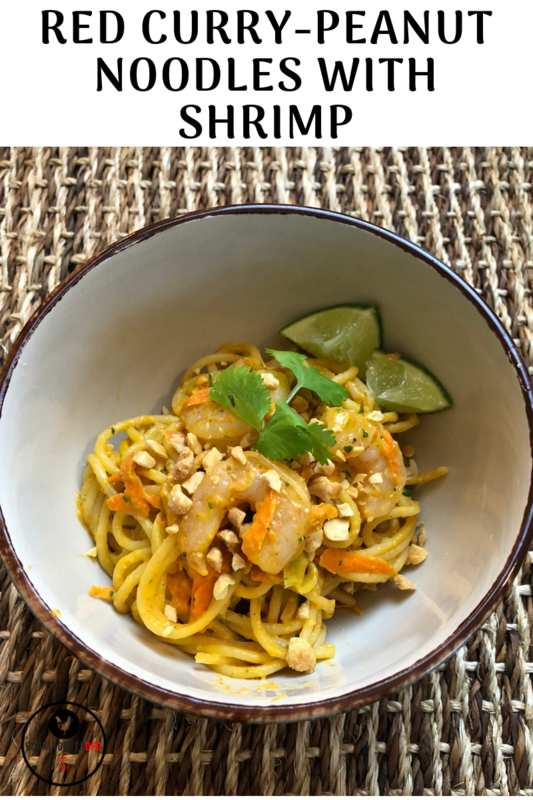 This Red Curry Peanut Noodles with Shrimp is a meal that has great simple ingredients that are pack with flavors and the whole meal can be made in under 20 minutes total. The heat of the meal can be easy adjusted by the amount of curry paste you use. The peanut butter does tend to tame the heat but there is a bit of heat that still makes it through. at the end. The shrimp can be easily replaced with chicken or some other protein that fits your preference more. This is a great meal for the peanut lover which my family is full of. 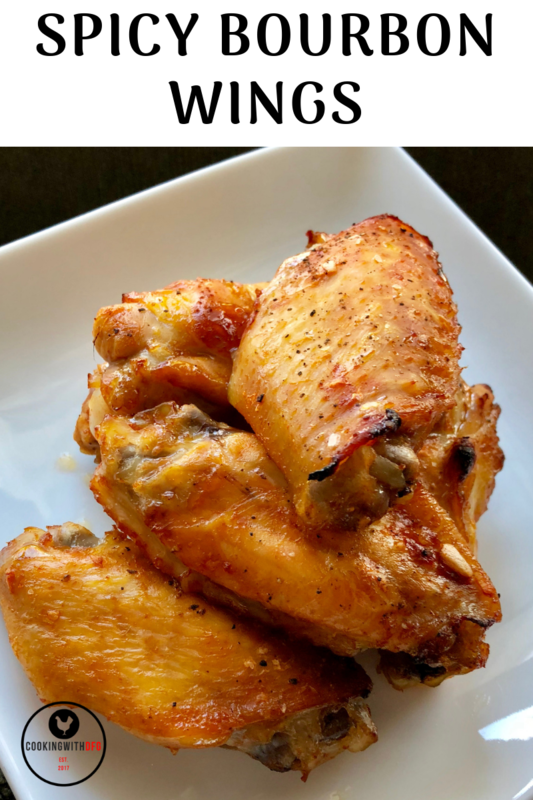 For a game day snack and appetizer, the classic chicken wing is still an all time winner for fun and creative flavors you can make with them. These spicy bourbon wings have the flavor of the bourbon, plus the slight heat of the hot sauce give you a bit of a kick at the end. The skin gets really crispy but the chicken on the inside is still nice and juicy. The main factor is you need to find a great flavor bourbon that has great flavor but don't feel bad about poring it down the sink at the end. I use medium blend Kentucky bourbon that is around 10 dollars a bottle and turns out good, but use whatever quality you enjoy since it is a factor in the flavor. As spring is finally coming around here in Minnesota (I can Finally see my grill after a record breaking snow fall last month). 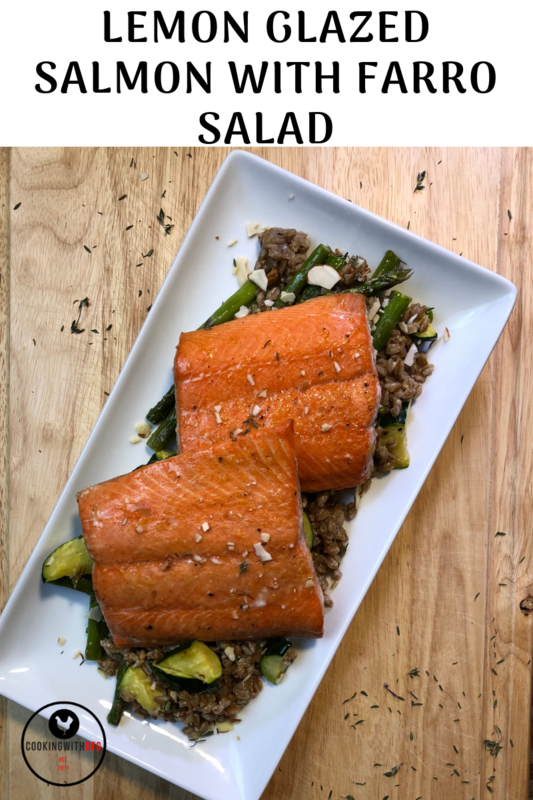 I decided to celebrate by making a this extremely health, but delicious salmon and farro salad. There is something about fresh grilled vegetable that make them taste great, and the lemon glaze on the salmon make it great tasting fish even better. Topped with the lemon thyme vinaigrette and sliced almonds is the prefect way to finish the dish. ​Farro is a great ancient grain that is making a comeback. It is not gluten-free since it is derived from wheat. Farro is a great source of fiber and protein and has a great nutty flavor. It is a great substitute for rice, barley and other grains in salads, side dishes and soups. 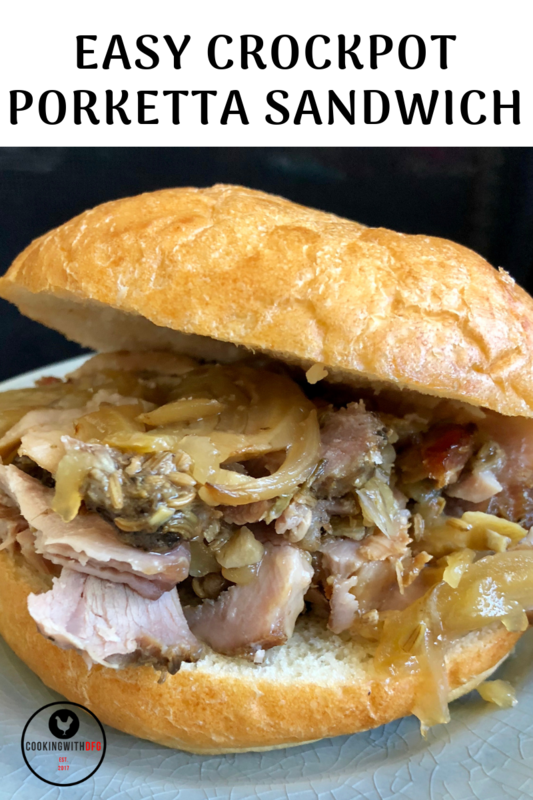 Some of my favorite recipes to cook are the meals that take time cook slowly over a few hours and fills your house with the sweet smell of what is coming out of the oven or slow cooker. I am not sure if the food just tastes better or just the hunger of me waiting for the food to be ready. I like to believe it the the first part. 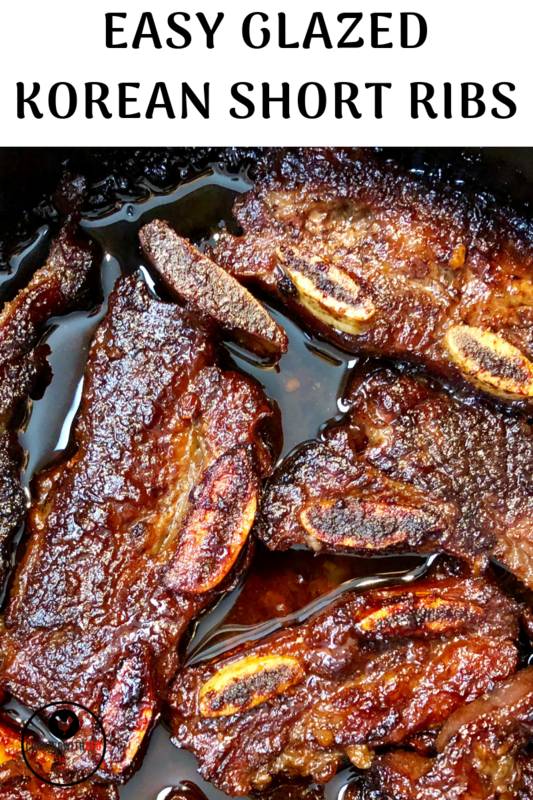 These easy glazed korean short ribs are nothing but great tasting. The sweetness of the brown sugar and honey mixed with the acid of the soy sauce with a bit of heat from the chili paste just make a great combination that the whole family will love. All of the cooking liquid in crusts the meat so it comes out tender and juicy. Check out the recipe below.